HAVANA, Cuba — A Cuban appeals court has overturned a prison sentence leveled against a pastor who was punished in May for homeschooling his children. As previously reported, Ramón Rigal and his wife Adya were taken into custody in February after authorities realized their children were not attending school. The Rigals had chosen to homeschool as they “wanted the freedom to give our children the education that we, the parents, have chosen.” Article 26.3 of the Universal Declaration of Human Rights states that parents have the right to provide their children the education of their choosing. 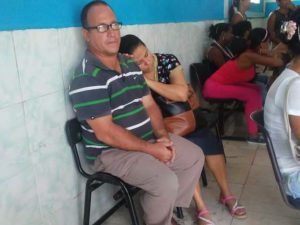 However, the Cuban government “wanted to impose their position upon us and gave us a warning notice and told us they would take us before the courts because of our position on homeschooling,” Rigal said. On Feb. 21, officers arrived at the Rigals’ home to take them to the police station. The couple begged the police not to arrest them in front of their children and said that they would go to the station themselves later. The couple was put on trial, and on April 25, Rigal was sentenced to one year in prison and his wife was ordered to be placed under house arrest. While the July 7 appeal overturned Rigal’s prison sentence, HSLDA notes that the ruling does not vacate the pastor’s conviction, nor does it eradicate the previous house arrest order against Adya Rigal. Rigal said that no matter what, he will not send his children to public school. “They want to impose their injustice and how to make an example out of me so that others do not follow my example of homeschooling. If I am not allowed to homeschool here in Cuba, I wish the authorities would let me leave the country to go somewhere that I may,” he stated.